Swedish metallers SOILWORK have announced the addition of 25-year-old drummer Bastian Thusgaard to the group's ranks. Thusgaard has been blazing the kit for the band for the past ten months, but will make his official debut as a permanent member of the band at their upcoming summer festival performances. Thusgaard first started playing with SOILWORK machine as their touring drummer after Dirk Verbeuren left the group to join MEGADETH. Thusgaard began his journey as Verbeuren's understudy, eventually taking over touring duties for SOILWORK full time in the summer of 2016. 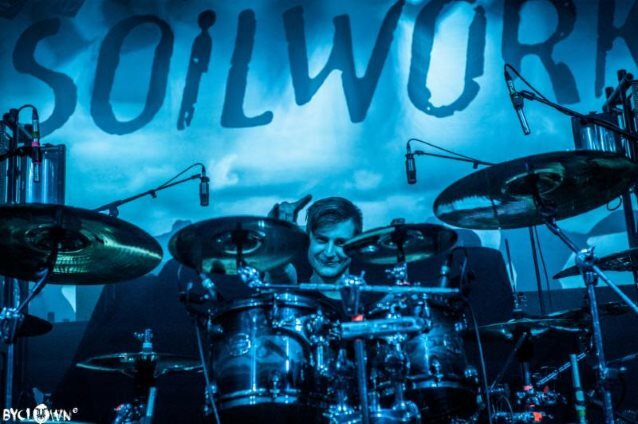 Watch a video of Thusgaard deftly performing "The Chainheart Machine" with SOILWORK via a Sick Drummer Magazine video below. In a band statement, SOILWORK says: "We are super stoked to announce Bastian Thusgaard as our permanent drummer. He's been touring with us for quite a while and has been nothing short of amazing to work with, both on a musical level and on a personal level. Taking over after Dirk must have been pretty hard, but he has proven, time and time again, through our tours through North America, South America and Europe, that he is the perfect man for the job. Bastian is only 25 years old and already possesses such great groove and fantastic technique. We can't wait to see, how his ability will take us to the next level while we write our next album. It will be a beast, there's no doubt about it. We have so much left to say musically and Bastian will be the perfect drummer to help the band evolve on our constant musical journey. Give Bastian a warm welcome, everyone!" Thusgaard adds: "First and foremost, I would like to thank Björn, Sven, David, Sylvain, Markus and everyone else involved in the SOILWORK team for their very warm welcome. I want to thank Dirk for his guidance, support and ability to inspire young drummers like myself, to put in the hours needed in order to make it to this level. He is the reason that I've had my life's best musical experiences during these past ten months. To the fans that I've already met around the world and all the wonderful people surrounding me, thank you for your great support and positive feedback. It has truly been overwhelming. 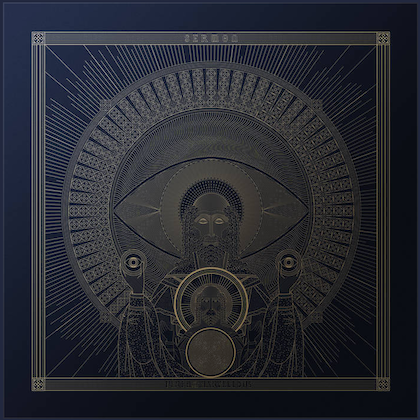 "I am truly honoured to be given the opportunity to continuously work with SOILWORK, a band that I grew up listening to and one of the key elements of my musical education. I am 100% committed to SOILWORK and am looking forward to create music with my childhood heroes and to see what the future will bring. See you all on the road."